How far would you go for the perfect ramen? 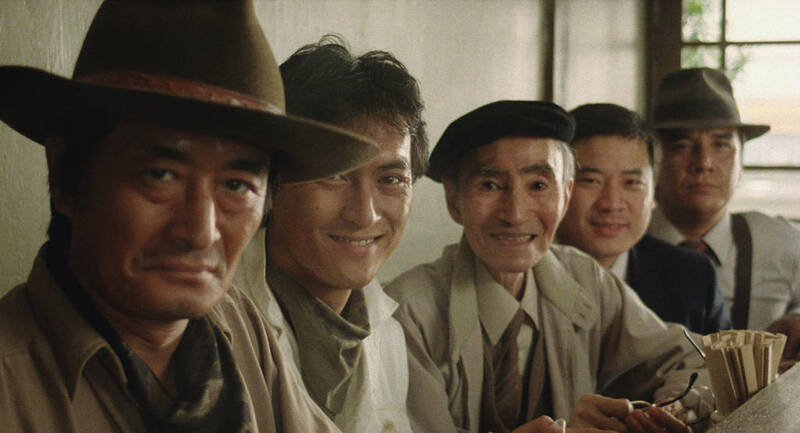 Tampopo is a brilliant underdog story of a roadside ramen shop vying to create the best ramen around. It’s a tasty combination of the tropes of the classic Western made hilarious by transposing them to Japan’s meticulous culinary scene. The titular Tampopo (Nobuko Miyamoto) is guided in her quest by scrappy truck drivers Gun (Ken Watanabe) and Gorō (Tsutomu Yamazaki). In wicked parodies of film genres, they run her through a rigorous training process, steal secrets of broth-making and challenge other ramen-makers in Spaghetti Western (noodle Western?) style stand-offs. The main quest for culinary perfection is intersected with brilliant standalone stories about different types of gourmand. 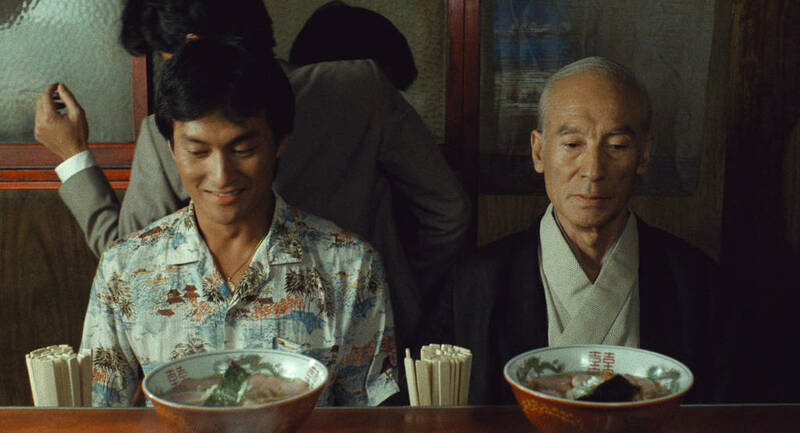 From the couple who bring the kitchen into the bedroom, to the salaryman with an uncanny knowledge of French cuisine, to a cautionary tale about squeezing fruit, these vignettes add rich flavours to the delicious broth of Tampopo. 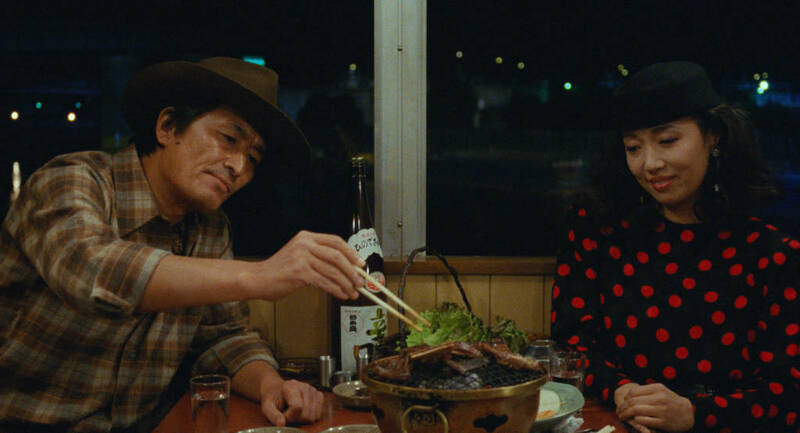 Sweet, peppered with hilarious moments and 100% guaranteed to have you desperate for a bowl of noodles, Tampopo is a nourishing watch that ignites every sense.